THE PICKIEST EATER IN THE WORLD: BABY RAIN'S FIRST BIRTHDAY GIVEAWAY! A year ago today, the most amazing moment of my life happened. Our first child, our daughter Renee Amelie.. A.k.a. "Rain" was born. Ever since that day, my life has never been the same. And truth be told, I wouldn't want it any other way. Before she was born, I had contemplated putting an end to this blog, thinking that there was no way I would be able to financially maintain this blog and raise a child at the same time. Well, with the grace of God, and the support of Rina, that hasn't been the case. In fact, my blog has thankfully grown exponentially since last year, and i'd like to think that Baby Rain's adorable photos have been a contributing factor for that. Hearing compliments like that, truly does warm my heart, because it doesn't matter how many hits my blog will ever get, or whatever accolade I may receive for it.. It is Rain that will forever be my life's greatest achievement. Baby Rain would like to thank you all for the kind words and compliments that you all have been giving her the past year, by holding a special giveaway for some of her favorite clothes, from some of her favorite restaurants! 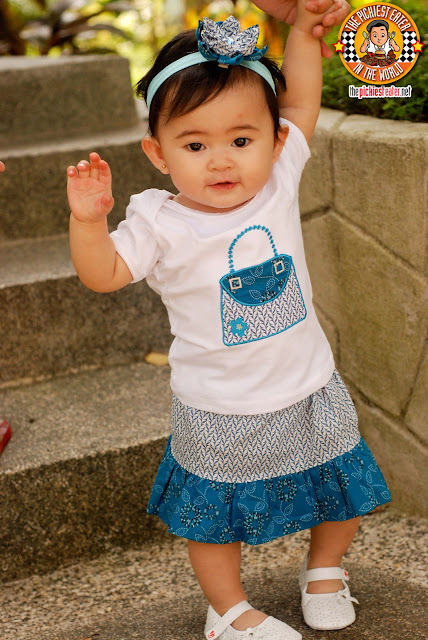 Since she's one of the image models for Bug & Kelly Music inspired Kids wear, Baby Rain is giving away one of these adorable dress sets (Shoes not included) to three different readers! The dress set includes the Shirt, Skirt, and headband, and is the perfect gift for an infant girl! Sizes come in Small, Medium and Large! Winners can avail of their prize at the Bug and Kelly Booth, located at the Karl Edwards Bazaar at the NBC Tent. They'll be there every weekend until December! 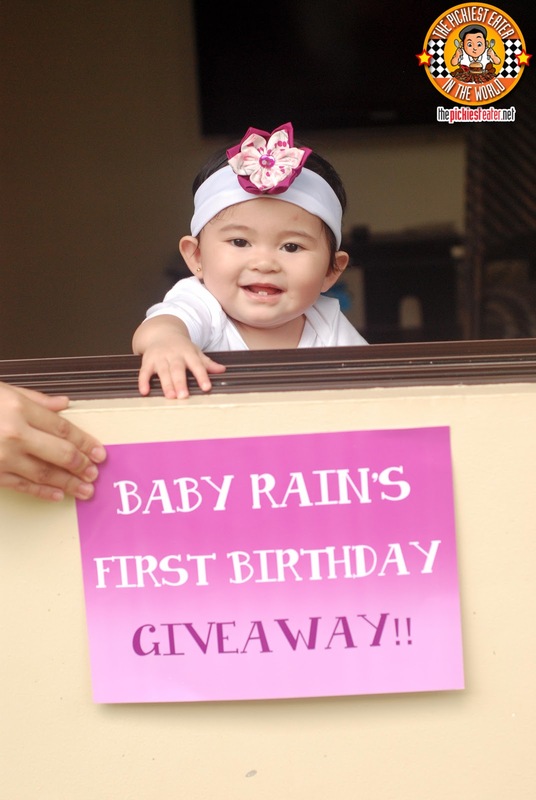 Baby Rain would love it if you could leave a Birthday Greeting for her, so please do so when you join the Bug and Kelly Giveaway! BUT WAIT.. BABY RAIN ISN'T DONE YET! Baby Rain is also giving away Gift Certificates to some of her favorite restaurants! or ANY Bistro Group Restaurant! she's giving away a Gift Certificate worth P1,000! ACACIA HOTEL: BUFFET FOR TWO AT ACACI! 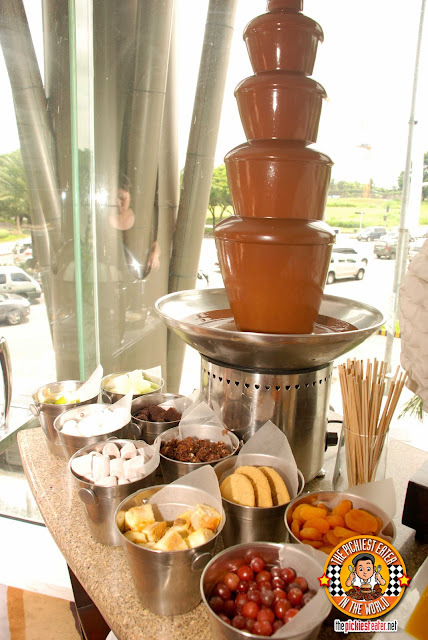 Lunch/Dinner Buffet for two at Acaci! Remember, joining the Bug and Kelly Giveaway will give you a bigger chance to win in the other giveaways, so make sure you join that first! Sounds pretty awesome, doesn't it? So what are you all waiting for!? 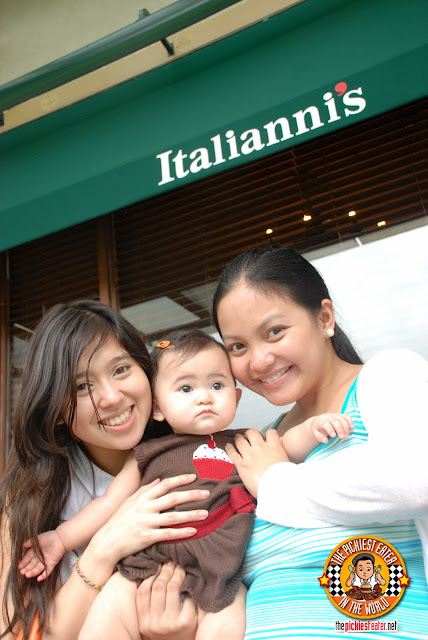 From Rina, Baby Rain and I.. Happy Birthday Baby Rain!!! Wishing you good health and happiness! As for the dress, I think the Jimi is the cutest. Hope I'll win one for my inaanak. Happy Birthday Baby Rain.Let this new year of your life be special, full of precious moments, bright emotions, full of happiness and joy! Let Love follow your footsteps everywhere you go! HAPPY BIRTHDAY! Happy birthday, adorable little Baby Rain! :) I'm looking forward to seeing you grow up via your proud daddy's blog. Happy birthday Baby Rain! You are definitely an angel! To answer, I'd take Joan coz its blue and white and my inaanak would look gorgeous in it. Happy. Birthday Rain! I wish you good health and always be a happy and smiling kid. God Bless you! Janis design in Large size. Happy birthday, Baby Rain! Be a cutie forever. Happy Birthday, Baby Rain! Must be really nice to wake up in the morning with a smiling baby like you! You are so cute! May life always bring you happiness and joy so you'll always keep smiling. This is such a grand giveaway! I like the Janis outfit. Wish I win. Happy Birthday Little Rain! Hope to see more of you and your dad's food adventures! Happy Birthday Baby Rain! Wishing you good health and happiness always. I love the "Janis" dress! Happy Birthday Baby Rain! Wishing you good health always! Have a very happy birthday, Baby Rain! Happy Birthday lil pickiest eater! I am wishing you for a good health and more birthdays to come. Be a good girl! Happy birthday, Baby Rain! You are such a cute and adorable little angel. I'd choose the JANIS style if I win. happy happy birthday to baby rain! Happy Birthday Baby Rain! Wish you all the best, and good health. The style I would like to win is "Janis"
She is sooooo adorable!!! Happy birthday Baby Rain! Another year has passed and as you celebrate your birthday this year and turn a year older. May you continuously have good health... Remember, the best is yet to come. Be good to your parents. You are so blessed. Happy Happy Birthday!!! Rhiannon design is really cute. Happy First Birthday Baby Rain! 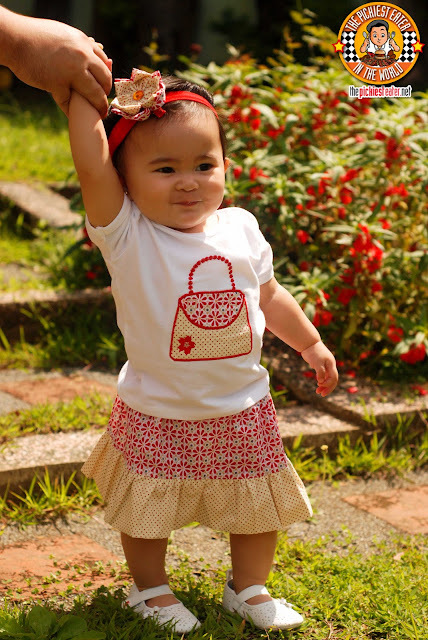 You look so cute in Rhiannon design. Happy Birthday Sweetie! You're one lucky baby! May you have great years ahead! happy birthday rain! God Bless! Happy Happy Birthday Rain! Be healthy, be "not to much pasaway" and be beautiful! Happy Birthday Baby Rain! :D I hope that you'll grow up healthy and strong. Happy Birthday Baby Rain! My birthday wish for you is that you grow up strong enough to face whatever the world sends your way. Happy Birthday Rain!! Sir Richie, your daughter's one beautiful kid! She must have given you so much happiness on this one year and the next years for sure! Thanks for GC, Ive received it already. My mom and I are all smiles when we opened the LBC letter package.. I'm crossing my fingers to win this GC again, so that I can have my dad and my sister tag along with me and Mama.. Happy birthday again Baby Rain! !I know you'll grow healthy like your dad and very beautiful just like your mom! happy happy birthday cutie Rain! =) more blessing to come! I want the Janis style.. very posh si Baby Rain sa color na 'to! Happy happy birthday Baby Rain! The cutest baby in the world! I wish you to grow up to be a wonderful daughter to your parents, a great student and an amazing person - selfless, kind-hearted and down-to-earth. ♥ God bless you little one! I like Siouxsie! You can never go wrong with red :) Even for babies! A very happy 1st birthday to you, Baby RAIN:)!!!! Your Mum and Dad are truly blessed to have you in their lives!!! Uncle Keith and I pray for your safety and good health always....and do stay happy and cheerful as you are!!!! I love the Janis style best...lovely! Happy birthday Baby Rain! Such a lucky Baby Girl. Your parents are so proud of you. I want the Janis style..ganda! here are some hugs, some kisses, and lots of wishes that you have an awesome life ahead. You have a birthday twinkle in your eye so have fun and know we love you fairy much. Happy Birthday little one. I want a RHIANNON style. OMG! 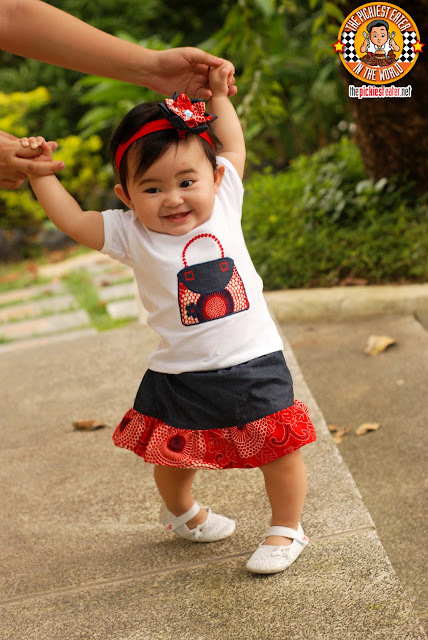 You're so blessed to have such a cute little baby!!! Happy birthday baby Rain! 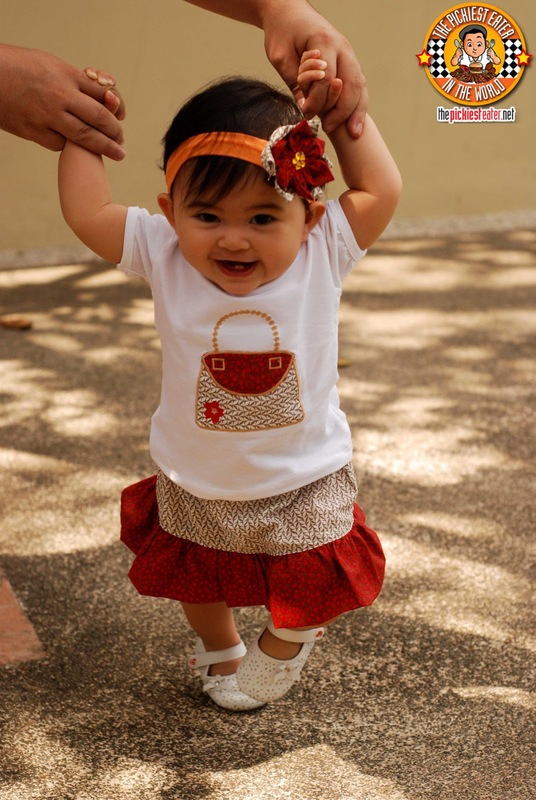 I wish you grow up to be even more beautiful and stunning than you already are! You're so gorgeous! happy happy happy birthday baby rain! Happy happy birthday, rain! I wish that you would grow up to be God-fearing and be successful someday! God bless u and your parents. I love the "SIOUXSIE" style. Happy happy birthday baby rain!!! happy happy birthday baby rain!! :) wish good health and a good life ahead of you. god bless you baby rain. Happy birthday Rain!!! I wish that you will always be healthy and happy...that you'd grow up to be a kind, sweet and smart girl. May God always bless you. HAPPY HAPPY BIRTHDAY cutey patooTEY!!! RAIN!!! i love you your so PRETTY BABY! GIGIL MUCH! hehehe i Wish you to be MORE MALUSOG pa :) everyone loves YOU! thank you for bringing generosity to US (your FANS)!! your parents our so lucky to have you! BE GOOD,BE HAPPY, and BE CLOSE to GOD.HAPPY Birthday RAIN! WE LOVE YOU! god bless! 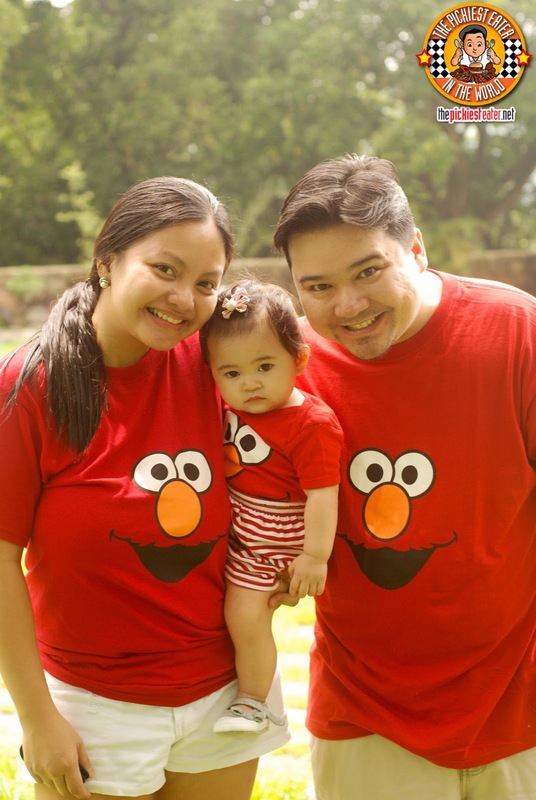 Happy 1st Birthday Baby Rain! You are like honey - super sweet. You are like a teddy bear - super huggable. 1-year-old Those are wonderful things that make you so lovable! May you grow into such a fine, young & beautiful lady. Much love and blessings coming your way. Hi, Baby Rain! 10 years from now, you might be able to read all these birthday greetings from different people (most of whom, you don't even know. But I am pretty sure that you'll be proud of your dad for doing this especially for you. 15years from now, I hope you're not even thinking of having a boyfriend yet. Haha! I can imagine your dad holding a fork and knife, ready to dig in to the lucky guy. Hahaha! But for now, enjoy playing with your toys and continue inspiring your parents because you are indeed a blessing. I wish you grow up into a fine, God-fearing and loveable lady. Happy Birthday, Rain! God Bless! PS: If you get to read this years from now and your dad can't type anymore because of arthritis and old age, please continue the blog and live on with your dad's legacy as the pickiest eater in the world. Just don't indulge yourself into bacon THAT much, okay? Happy Birthday, little cupcake! It must've been a Onederful year for you and your parents. Wishing you the best on the first of many birthdays to come! happy 1st birthday baby rain! 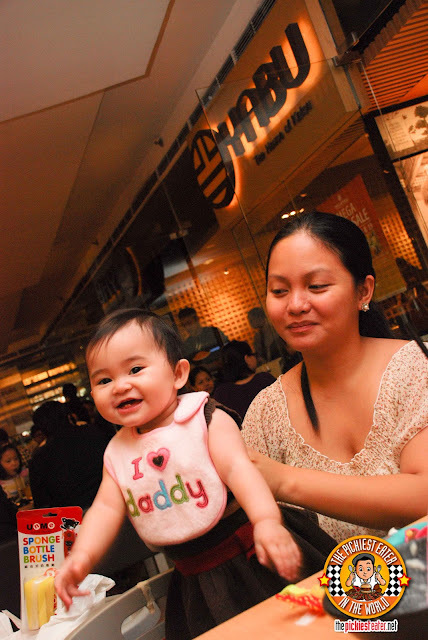 may you grow up fast so you can join mom and dad to all the foodie adventure yet to be! happy birthday baby rain! you're so cute! may pinagmanahan talaga, hehe. love your parents! Happy birthday Baby Rain! God bless you! Happy birthday baby rain! You're parents are lucky to have you! Stay cute and happy! Happy birthday Baby Rain!! Wishing you good health and happiness always. Happy birthday, Baby Rain! :) Stay happy, healthy, and adorable. God bless you and your parents! Happy birthday Baby Rain!!! :) More blessings to come for you and your parents! oh and i would love to receive the "JANIS" if i win. Happy Birthday Baby Rain! I wish you more more more blessings to come. Stay pretty always =). The dress SIOUXSIE would be great. Happy happy birthday baby rain! JANIS dress would be cool to my 2nd baby girl, Dym Hael. Happy Birthday Baby Rain! You're so cute! I feel how proud your parents. You're a blessing to them, i wish you to stay healthy and stay pretty like your mom! Again, happy happy birthday! Happy bday baby rain! You're going to grow up really pretty! :) Godbless! I would love to win "JANIS"
Happy birthday rain! you are sooooooooooo cuuuuuuuuuuuuute!!! i want to poke your cheeks! pi 3 in 1 + 1 baby rain !! Happy 1st Birthday Baby Rain! Hope to carry you in my arms someday. You are such a blessing to your mom and dad. Happy Birthday Baby Rain! Enjoy your happy day! Happy Bday cute baby RAin! happy birthday baby rain. wishing you good health. stay cute and adorable. Happy Birthday Sweet Rain! We wish for you to have good health and wealth and many more birthdays to come! 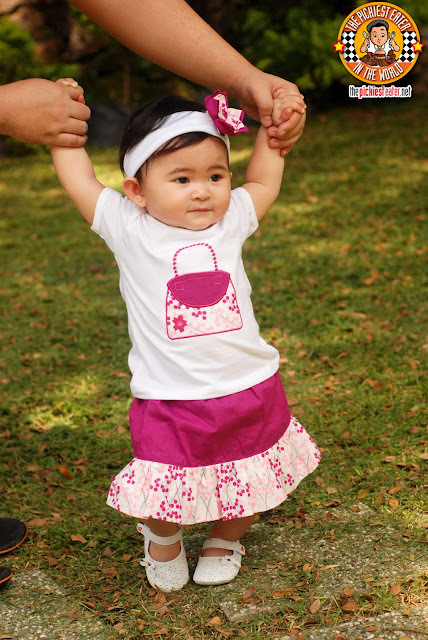 Happy Birthday Baby Rain, one day you will be as pretty as mommy and as cute as daddy. I'll wait for the day you make your first blog as well.